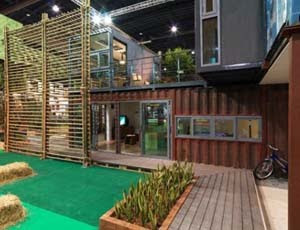 I think that these shipping container living spaces are so inspiring. 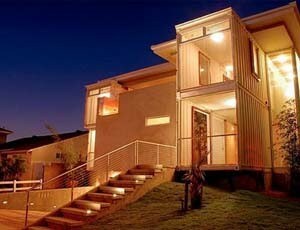 I just read an article on how different architects are trying to incorporate them into their designs. Apparently they are super cheap and durable. 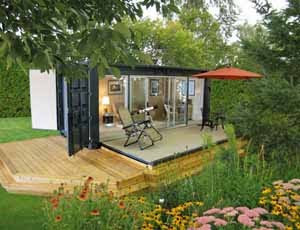 I kind of like the idea of a shipping container cabin. It's simplicity is alluring. 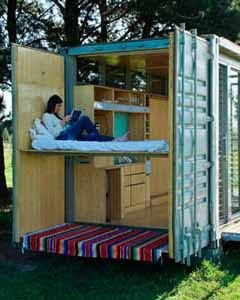 Now this is a brilliant concept. This building is for student dorms. I remember reading an article this past summer about how New York used dumpsters (they looked similar to shopping containers) and made pools around the city with them. I think that was pretty brilliant too. 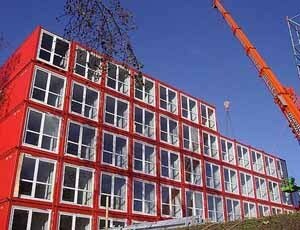 I really like the smaller container homes. With a 20 ft container, you can make a very functional living space.